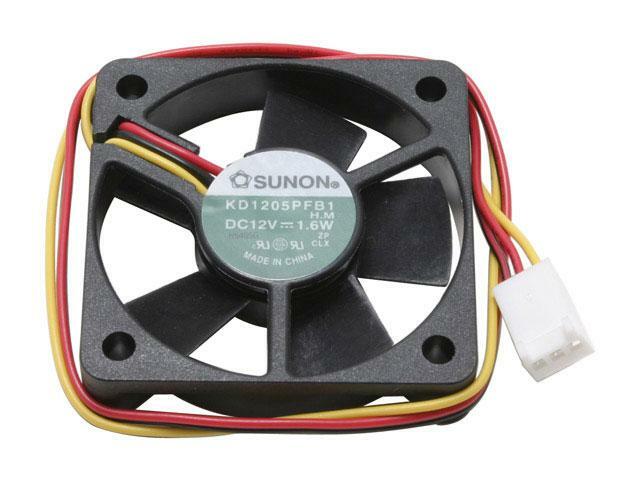 Sunon continues to strive for excellence in the fan industry with a 50 x 50 x 10mm Ball Bearing Fan. This 3 pin connection fan is just what you need to boost the airflow of your system to set it apart from any other. When it comes to a cases airflow, the littlest things can make the biggest differences so order yourself a 50 x 50 x 10mm Sunon Ball Bearing Fan today!